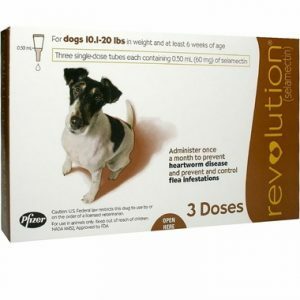 Revolution is the safe, simple way to protect your dog or cat from heartworms, fleas and other harmful parasites. – It simply works inside and out. 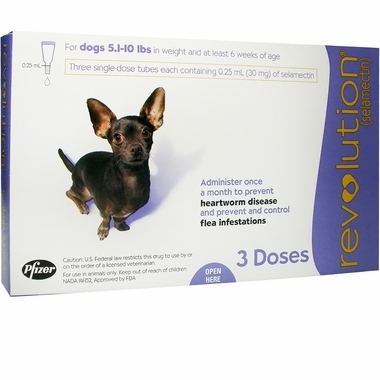 Revolution protects your dog against both internal and external parasites such as fleas, their eggs and larvae, heartworm, ear mites and scabies. 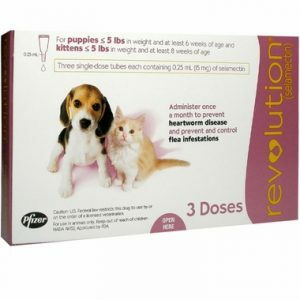 Whilst in cats it protects against adult fleas, flea eggs, heartworm, ear mites, sarcoptic mites, hookworm and roundworm. This once a month treatment is easy to use. Simply apply to the skin on the back of your pet’s neck or between the shoulder blades. Revolution is water-fast after 2 hours from application and quickly starts working from the moment it’s applied. 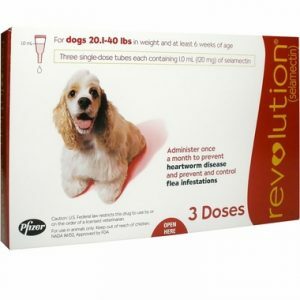 Approved for use on puppies and kittens from 6 weeks old as well as pregnant and lactating females.